I will be the first to admit it, keeping up with the state home technology is a never-ending job. I am engrossed in it full-time, and I am still surprised at how fast things change. That said, technology still needs to be planned for during construction and remodel projects, so being afraid of it can create serious issues with timelines, aesthetics and client’s budgets. 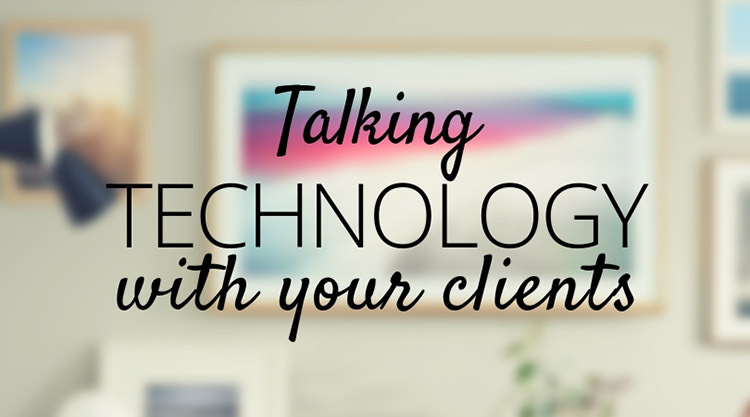 Read on for a few tips on when and how to begin discussion around technology with your clients, to help you deliver smoother projects and stunning results. The most painful thing to hear as a technology integrator is, “It isn’t time to talk about A/V yet.” The ideal time to begin discussions around technology is as the plans are being drawn and initial meetings are taking place regarding infrastructure. As much as we like to believe that “everything is wireless these days,” the truth is that without a robust wired backbone, a wireless smart home is a recipe for frustration. When dealing with things like invisible speakers, recessed shade pockets, exterior motorized screens and equipment cooling we simply cannot be brought into a job too early. I cannot count how many large custom homes we were introduced to at the framing stage only to find out that no space has been planned for the A/V equipment. Asking the homeowner if they really need a coat closet doesn’t make anyone look good. So you have determined that you are ready to discuss technology needs with your clients, but where do you start? Probably the easiest method is to arrange a trade meeting between yourself, your trusted A/V integrator and the homeowner. We do this every week with architects, interior designers and contractors. 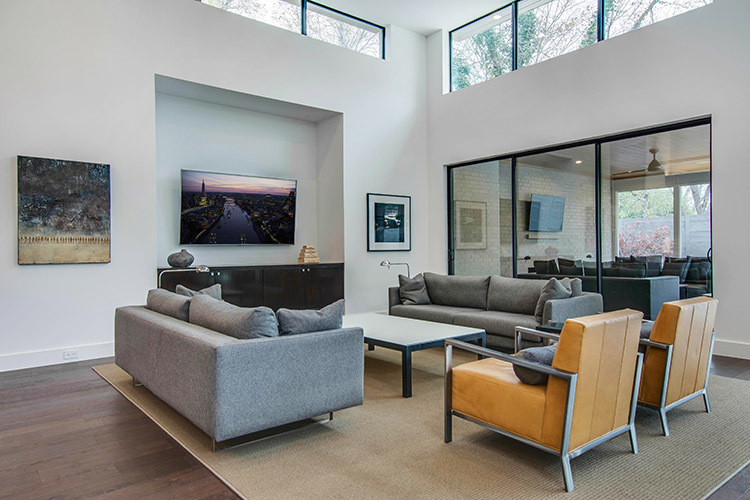 Even a client that believes they don’t want a “smart home” is likely expecting to have WiFi and a TV in their home, so a brief discussion can’t hurt. By scheduling a meeting to discuss technology you immediately move that burden off of you and onto the A/V company. The hidden benefit to creating this introduction is that you are now part of the consultation team, free to voice your opinions about aesthetic, budget and any other concerns you have. This will give you more control over the final product, without having to play the technology expert. 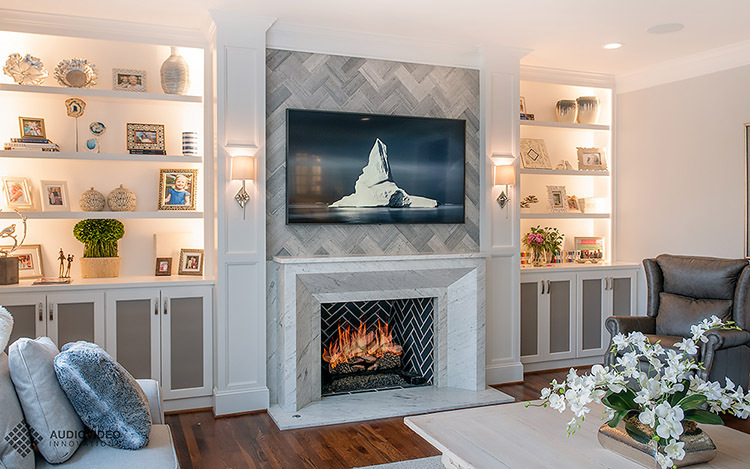 Ignore talk of products and features - Focus on HOW the client wants to live in their home and determine if there are any technology solutions that can help meet their goals. Lean on your knowledge of the client - When it is time to talk product (vaguely I hope) use your knowledge of the client’s desires on other aspects to guide your conversation. For example, a client utilizing linear slot diffusers for their HVAC will probably be interested in an invisible speaker, or other options that minimize aesthetic impact. Discuss the budget - This can be tough to do, but it is useful to get the client thinking about how important the technology going into their home is to them. Too many times the low-voltage portion of the job is never budgeted for and comes as a complete surprise to the homeowner. Broaching the topic early increases the chances that the client will be able to include some of that cost in their mortgage, or at least plan for it early on. Discussing budget can help ensure everyone is on the same page and minimize client frustration. Don’t be afraid - You don’t have all of the answers, but most clients respect when someone tells them, “I don’t know, but I will find the answer for you.” Willingness to admit that you don’t know the answer, but do know how to find it, is a sign of competence and trustworthiness. It is important to begin conversations around home technology as soon as possible to ensure that the job gets done right. Don’t be afraid to be the party starting that conversation. In most cases you will be responsible for saving the client money and frustration, while being a part of one of the more fun details in any home. Next time the homeowner is dancing to the music while cooking dinner, they will know that you helped make it possible.